Matt Jefferies Entertainment offers wide range of wedding entertainment services that could certainly amaze your guests in every possible way. New to our wedding services entertainment are Wedding Photo Magnets. These are perfect bombonieres or personalised favours for your guests. 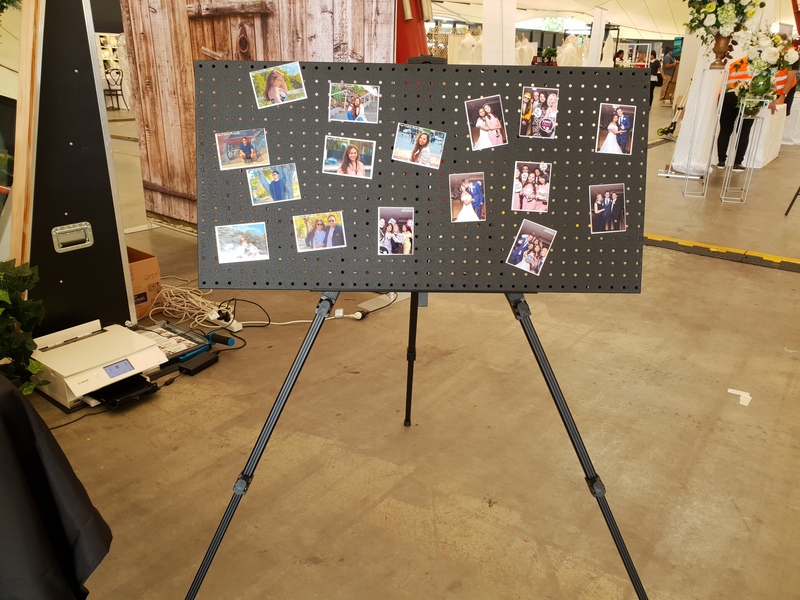 How Wedding Photo Magnets service works? Firstly, you will have a professional wedding photographer for your event who will capture different photos of your guests and candid special moments. Your guests could have their photo taken without having to walk in on queues. You will have your special moment photograph as well. After taking photos, your photographer will print the photos and transform them into photo magnets. They will be display on our magnetic board to be taken by your guests for photo keepsake. These will certainly make your guests remember your special day. As a matter of fact, Wedding Photo Magnets are perfect display on your guests’ fridge. These are surely perfect wedding favours for you and your guests. With Matt Jefferies Entertainment, our professional photographer is skilled in capturing the excitement of your guests and print them into wonderful fridge magnets. This is also a perfect alternative for photo booths as well as an addition for your photo booth entertainment. Keep them entertained while waiting for your grand arrival. In fact, Matt Jefferies Entertainment offers Wedding Photo Magnets and Safe Indoor Fireworks in a package. Overall, weddings with Matt Jefferies Entertainment will make your wedding an event to remember forever. Blog by Matt Jefferies Entertainment – www.mattjefferiesentertainment.com.au – Wedding DJ Melbourne packages include Wedding Photo Magnets and Safe Indoor Fireworks. Contact us here for quotes or pricing regarding our amazing packages.